How do you typically assess your students? your teaching? other learners (e.g. teachers)? How have your assessment practices changed over the years? How have they changed in your school? District? What research do you use to support your assessment practices? What evidence do you have that indicates that your assessment practices help students achieve and be successful? What have been the challenges in changing your assessment practices? What work do we still have to do as instructional leaders in this area to ensure that students are receiving the best assessment practices in our buildings/districts? As an administrator that still has the pleasure of teaching my classroom assessment strategies include a variety of formative and summative assessments. The majority of my is formative and can include, classroom observations, conversations, quizzes, assignments that are designed to assess understanding and what key outcomes or stands need further development. Formative assessment in my class is generally not used as part of a student mark with the majority of the mark coming from summative writing, quizzes and tests/exams. I assess my teaching by reflecting regularly on my practices and am constantly looking to build upon my instruction and assessment practices. In the past I have had my students complete surveys at the end of the year. My assessment practices have changed over the years with so much more being done online with tools such as Google Docs, FreshGrade Portfolios or Google Classroom. My summative assessment practices have not changed much, but I have become better at providing accommodations for students that require it for those assessments. I have used a lot of Rick Wormeli’s research when it comes to assessment practices and policies. Marzano and Tomlinson are some authors I have read to gather information regarding assessment practices and they have had an impact on assessment techniques. I was to answer some questions around instructional practices. My instruction has drastically changed over time. Thinking back to my first couple years of teaching and how I instructed and led my classroom does not compare to what I do today. I still believe in traditional direct instruction and that you have to explain new concepts to students, sometimes multiple times before they understand it. Asking a student to complete a project or assignment about economic or political systems does very little good if that students does not have background knowledge to draw and to use to critical assess material that he/she is reading or watching. My classes typically involve direct instruction with concrete real world examples, followed by class discussion or debate both formally and informally and usually time to work on a project or assignment designed to enhance learning and I will often try to tie some technology integration into this part of my instruction. Technology integration has to be purposeful and meaningful. I am lucky to be able to run a 1:1 paperless class which I have done for the last five years. I learnt quickly that paperless is not necessarily the best for everyone and that some tasks may need to be differentiated to fit the needs of everyone. My level of technology integration has changed a lot over the years and continues to so each year. Creating a movie, youtube video, green screen project have taken the place of posters and more traditional assignments in my classes. What research do you use to support your instructional practices? What evidence do you have that indicates that your instructional practices help students achieve and be successful? When looking for ideas and strategies to help support my instructional strategies i look to both print and online sources. I read constantly and gather numerous ideas and strategies from various authors. Most recently I have read books by Daniel Pink, Sir Ken Robinson, Simon Sinek, Leonard Sax, George Couros to name a few. While they may not all be about direct classroom instruction the ideas of dealing with and getting the most out of people and changing the way students or people see things helps me better prepare and plan for the individuals in my classroom. I also believe in being a connected leader and use social media platform such as Twitter, Instagram and Pinterest to help me move forward as an educator and leader. What work do we have to do as instructional leaders in this area to ensure that students are receiving the best instructional practices in our buildings/districts? One of my rules when I talk to my teachers throughout the year is that I want the students in your class to enjoy coming to school and be excited to be here. If we can accomplish this one task, just about all other problems will figure themselves out. Relationship are the key to making this happen. Building and fostering positive, healthy relationships with students allows those students freedom. Freedom to try and fail, freedom to express themselves, freedom to reach for what may seem impossible and freedom to become the best person they can be. As an educator, administrator and parent I am both excited and nervous as Alberta looks at curriculum redesign. It is tough to imagine what we will need to do without knowing what the new curriculum looks like. At this point we can only imagine and listen to the various parties that are responsible for creating the new K-12 curriculum for the province. One of the most important actions that administrators can do to help teachers is schedule collaborative time for teachers to meet and plan. This will be one of the most important things as we move forward. By scheduling in time for teachers to meet and plan collaboratively will help alleviate a lot of the frustration that teachers may have. As a department head during the implementation of the last Social Studies curriculum teachers simply wanted time to plan and prepare instruction and assessment to meet the goals and needs of the new curriculum. I am not sure this will any different this time around. Parents and students will generally not be impacted as they do not have to plan or prepare for the implementation of the curriculum. 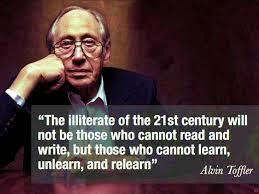 Learning may become more student centred with more project based learning and technology initiatives. Educators will still need to plan and prepare lessons and assessments as they always have, but those assessments and plans may need to look a little different. More emphasis on community and global interactions will need to be planned and prepared for. As mentioned earlier time to collaboratively plan and prepare will be a necessity. As an instructional leader one of my responsibilities will be to ensure that teachers have all the materials and resources they need to successfully plan and implement the new curriculum. Support is the single most important thing instructional leaders can provide at this time. This support may come in the form of release time where instructional leaders take classes to free up teachers for planning. I can see myself taking each class for a period of time to do some technology based learning activities such as 3D printing, green screening, coding or robotics to give the classroom teachers some additional time to prepare. Change is inevitable and I believe that we do need to change our curriculum and I am looking forward to seeing and implementing the curriculum when it is released. There will need to be time given to educate parents and teachers as our education is potentially changing from traditional schooling has been. Professional development for teachers about PBL will be required should that be part of what the new curriculum will look like. Should principals be required to teach? When I made the decision to go into administration I told myself I would always teach at least one class (even if I didn’t have to) and I envisioned it would be an academic class. I remembered reading a post by Chris Wejr Principals ARE Teachers where he talked about this exact topic. After three years of being an assistant principal, and now into my first year as a principal I sit back and reflect upon this question I am not sure if my original position still holds true. What do I love the most about my job? The answer is easy, I get the most enjoyment out of spending time working with students. The second aspect of my job that I love the most is working with all teachers, teachers new to the profession or a hardened veteran learning how to integrate new technology into his/her lessons. It definitely is NOT the meetings, district responsibilities, paperwork, discipline or any of the many other tasks administrators are asked to perform. How do you help a teacher with technology integration when the last time you were in a classroom there were no Smartboards, 1:1 classrooms did not exist, never mind paperless classrooms, GAFE (Google Apps for Education) hadn’t been implemented and marks were still kept on in a mark book not online for parents to access 24/7? Will you really understand the challenges teachers face when implementing new division, state or provincials mandates if you do not experience them yourself? If my number 1 job is to be the instructional leader, and not a building manager, should I not be in the trenches with the staff, experiencing what they are going through? I believed whole heartedly principals need to teach, but as I get immersed in the job I am finding my time pulled in numerous directions to the point my teaching is falling behind. As I am away for various meetings or professional development, the instruction that my classes receive is not the same as it would be had I been present to teach it myself. Is this enough to change my opinion? No. Perhaps my opinion on this topic will change in the future but there are many variables that need to be taken into consideration. Presently I still believe principals need to teach. My previous reflection piece talked about principals supporting their teachers and I feel I am better able to support my teachers if I experience part of what they experience day to day. When discussing the various skills and attributes that principals possess, I am not sure what is the most important as there are many to choose from. I would venture to guess that it depends on the personality and leadership style of the individual, and the culture that they wish to create. As I look back over my first couple months it is very evident that teachers want, and need the support of their principals. We all have tough days and that is part of any job and those days come in numerous forms. Student being disrespectful, confrontation with parents, and issues with staff, are all things that can and do happen in a teacher’s life. When they leave school at the end of the day I hope that they realize and believe that I will do everything I can to help and support them, that I will back them when parents complain or when there are issues with students. I want them to know that they can come to me for suggestions or ideas when they are struggling or if they just need a sounding board. 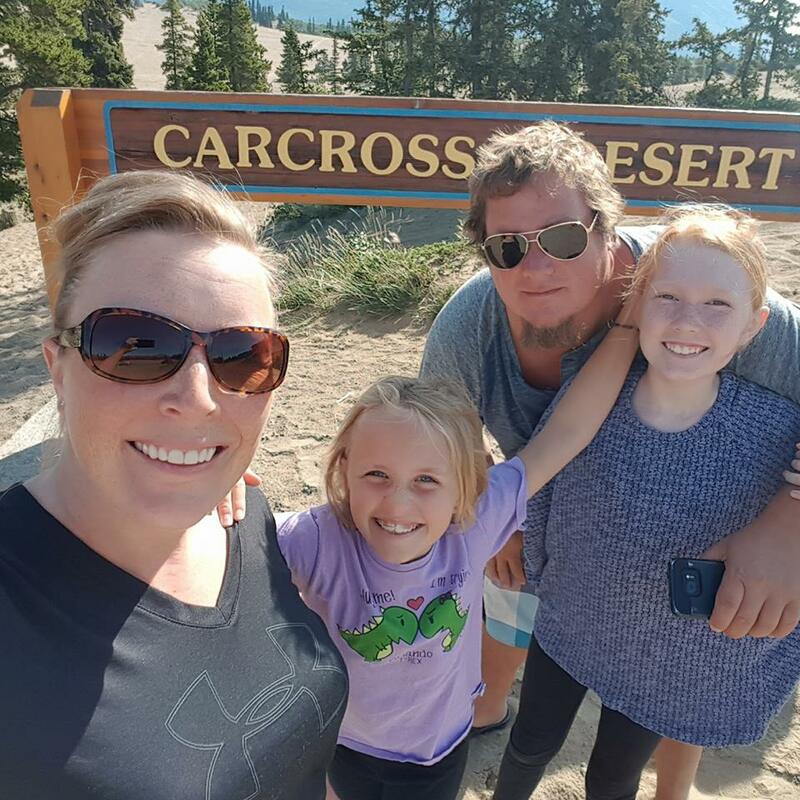 With two months down, I figured it was time to reflect on the new job and role that I have taken on. I am not sure why I choose this as my first reflection topic but many educators have had administrators who did not support them and I told myself when I took the job that I would not be that person. I am not sure if the staff feel supported, I want to believe they do as it something I think about on a daily basis and I am trying to walk the walk not just talk the talk. Time will tell. Please feel free to leave comments and I hope you continue to read my reflections as a first year principal. 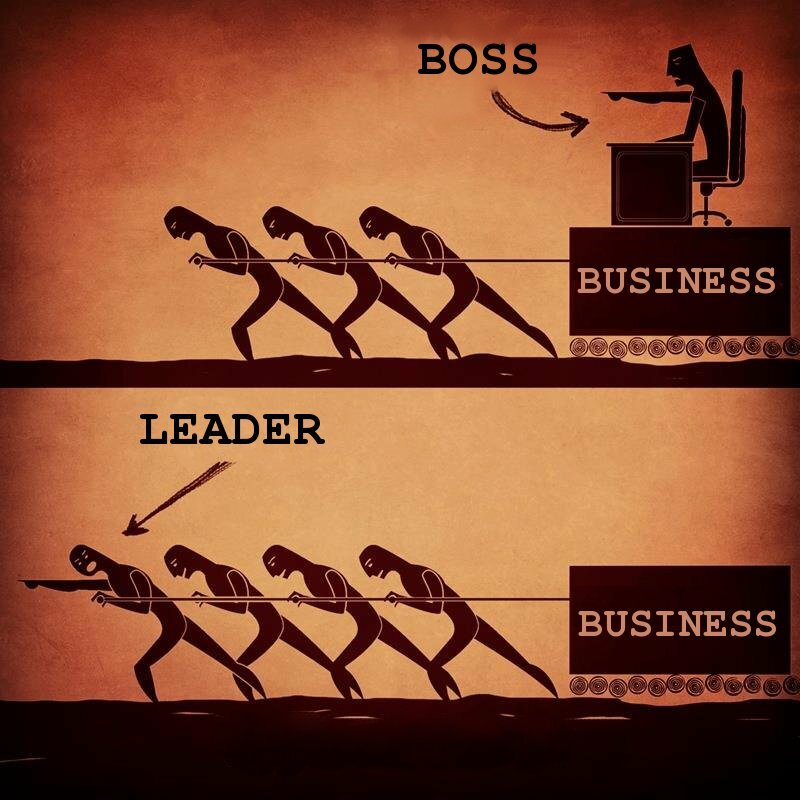 I came across this image on Twitter and it immediately made me wonder if people see me as a leader or a boss. This leads to teachers and educators feeling that administration is out of touch with what actually goes on in the classroom on a daily basis. The majority of educators work hard to provide the best education possible to their students. When administration doesn’t see or recognize the amazing learning taking place in classrooms, teachers are naturally going to feel isolated and alone. When I received my survey results back from teachers in my building at the end of my first year as an Assistant Principal, they felt as though as I needed to be more visible in teachers classrooms. As I reflected on this I realized that I was spending too much time in my office and not enough time going from class to class building relationships with staff and students. The next year I created a google sheet to keep track of when and which classes I went in to help ensure I spent more time with teachers, staff and students, rather than in my office doing things that could be easily done after the building was empty. I believe you have to lead from the trenches, with the teachers. This is one of the reasons I like the fact that I still teach core classes each day. This allows me to build quality relationships with students and to be a relevant contributor when conversations turn to differentiation, assessment, technology integration, and other instances where a “in the trenches” experience is required. Everyone has redeeming qualities and those qualities are often different from person to person. Draw on their strengths to elevate the whole team. 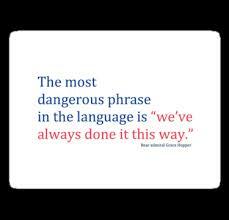 Be willing to let your staff try new things or take on new challenges. Encourage and support them as they do. Celebrate and share new skills within the team. Teachers need to see the big picture of where you are leading the team. People will row the boat if they know where they are rowing to and can understand the benefit of the destination but will be reluctant to row and will fret and continually look backwards if they don’t know the end point. People will rise to the expectation you give them, set the bar high and they will strive to meet them, set it low and expect them to remain there. The best leaders are also the best listeners. People need to feel comfortable coming to you. You must build this trust by listening, and then listening some more. When staff, parents or students come to you with questions or problems they know they will not be judged but rather heard. If they know your intentions are to help them solve the problem, to be a safe place to air grievances and challenges, or as a safe place to ask for help, you will grow your staff into a strong team that centers on trust. During a recent PD Day, we had the opportunity to discuss and complete a couple of activities that focused on literacy with the eventual goal of developing a school wide definition of literacy. I believe that in the past, literacy has been used to describe a person who can read and write. After the discussion and activity we participated in, I have come to a few new conclusions about what I believe literacy is. Literacy is the ability to communicate using a variety of mediums. Is being able to properly compose an email not a form of literacy? It is not a traditional letter but do we still communicate using traditional letters? Or being able to read and communicate tone in an email. Is the ability to communicate and recognize body language not also a form of literacy? Is social media a form of literacy? Effectively using 140 characters to precisely convey your message. Recognizing what is appropriate to post and what is not on various social media sites. Being able to build a brand and use social media to persuade others. The students that are coming through our schools are growing up in a much different environment than we did. So while I believe that reading and writing are the foundation of literacy, I believe we have a duty to prepare them for this new world and address the questions above. Literacy should be taught in all classes regardless of subject area. It is the responsibility of all teachers to assess and teach literacy. If we truly believe in the importance of literacy then our curriculum, lesson planning, and assessments need to reflect that. Schools need to walk the walk and not just talk the talk. Our staff came up with the following beliefs about literacy. Now if, as administrators and school leaders, we do nothing to foster nor promote these beliefs with the staff, students, parents, and the community, we are doing a disservice to everyone. The precious collaborative time we spent developing and discussing literacy would be completely wasted. What is your school doing to help build a community that believes literacy is important? Do you have a DEAR period (Drop Everything and Read) or something similar, where all students, regardless of age or ability, have built in reading time? Time when the adults act as role models and read as well, not sit at their computers or do marking. Do your teachers have time to plan common assessments that have literacy components built in?